Today is International Women’s Day, and we had to take a moment to celebrate. We love few things more than celebrating boss babes who are making impacts worldwide. And if you’re one of those ladies, feel free to meet up with the gals for a round of cocktails and mapping your boss moves this evening! 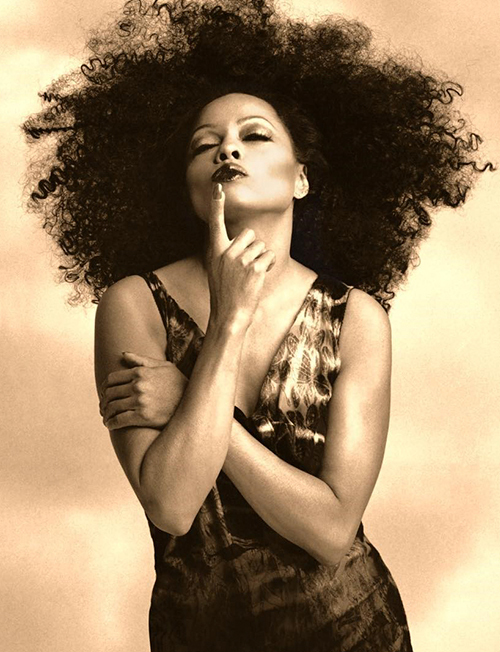 #BalanceforBetter is this year’s International Women’s Day theme….love it. A theme like that is the perfect opportunity to showcase women throughout history who balance individual achievement with effortless style. They make it look easy. 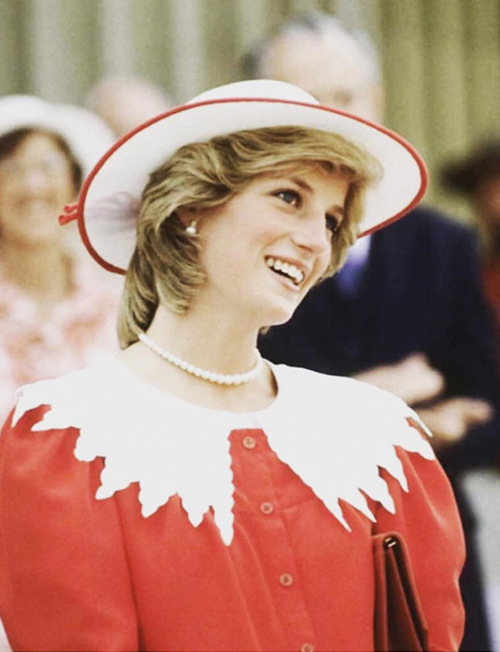 From her larger-than-life wedding (and gown) to her sleek dresses and suits, England’s Rose brought a level of style and grace we had never seen in Buckingham Palace. Diana was an icon of style and pop culture who managed to transcend the conservative – often stuffy – trappings of the Royal Family. One of the reasons for that is because Diana chose to use her platform as a vehicle for philanthropy rather than just enjoying a glamorous lifestyle. Meghan Markle and Kate Middelton have picked up the mantle Diana vacated after her untimely death, but no one can match her timeless elegance. Body positivity has not only been a hot button issue in the fashion and modeling industry, but society at large. And model turned activist and host, Ashley Graham has been at the forefront of the body positivity movement for roughly a decade. Ashley was featured in the October 2009 issue of Glamour magazine titled “These Bodies are Beautiful.” Since then, Ashley became one of the first plus-size models featured in the Sports Illustrated swimsuit issue, penned her own book, and led a TED Talk. Ashley definitely embodies body positive and beautiful. And we love the balance. Jackie Kennedy was to the White House what Princess Diana was to Buckingham Palace. 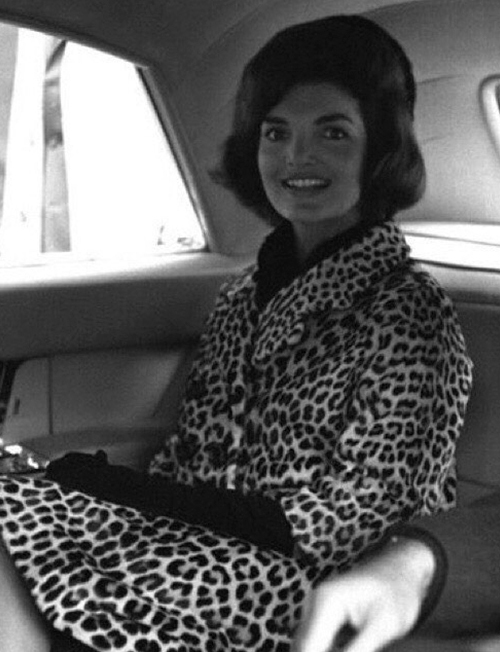 We think it’s fair to say Jackie may have been the United States’ first celebrity First Lady. She carved a space of influence for herself outside of her marriage to John F. Kennedy. And her star only twinkled brighter when she became Jackie O. as she became a fashion and publishing icon. Known for her menswear-inspired suits and oversized glasses, Jackie proved that women could be career-driven while also being stylish. If it feels like you’re seeing Lilly Singh everywhere these days, it’s probably because she is everywhere. Lilly got her start as a YouTuber nearly 10 years ago. She named her account “IISuperwomanII” because she believes she can do anything. Lilly has proven that to be true since she’s expanded her brand and added modeling and motivational speaking to her repertoire. Though you’d never guess it, Lilly says she initially started YouTube channel to help her cope with depression. 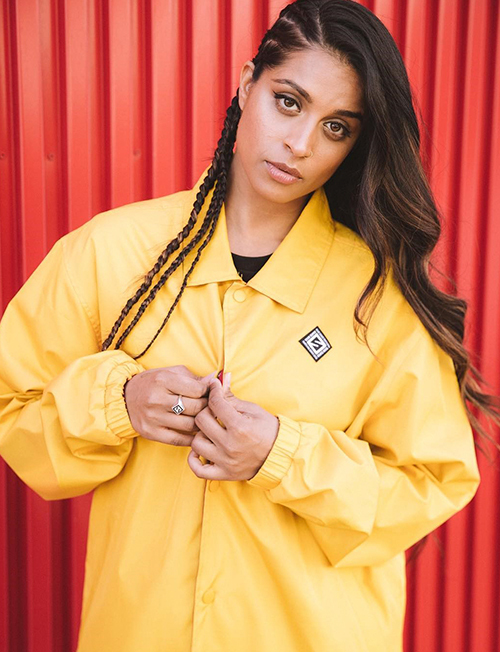 In addition to being a humorist (with a funky style), Lilly uses her platform to empower women who struggle with self-confidence and mental health. Have a fantastic International Women’s Day! What’s Galentine’s Day you ask? Only the best holiday created by a fictional character. Yes, even better than Festivus. Leslie Knope, the main character of NBC’s hit sitcom Parks and Recreation, coined the term Galentine’s Day. As Leslie put it, Galentine’s Day would be a day for ladies to celebrate ladies – without worrying about gifts from the guys. The idea made SO much sense that, of course, it’s now a real holiday! So, how should you celebrate your lady friends on February 13th? Consider these fun activities to show your besties how much you love and appreciate them. We appreciate everything that guys do for us, but when you get down to it, women know what women really want. So, why not craft a Galentine’s Gift Basket for your closest friends? Fill it with things that you know they really need and will appreciate – moisturizer of their favourite scent or some guilty-pleasure treats (that they never get for themselves). Consider gift cards for your favorite place to get lunch together, or for clothes that they’re actually going to wear instead of cliché of Valentine’s lingerie. We do love the collection of comfy tees and leggings in our apparel store. Spa days are the ultimate treat, but they can run a little pricey. Save the expensive day trip for the S.O. to purchase while you and your friends celebrate with a little DIY action. See if your friends can split the responsibilities (one makes the drinks, another instructs on exfoliation, etc). Then, set up a couple rooms ahead of time to better relax and enjoy your time together. Galentine’s Day on a weekday? No worries!Take a rain check and make your plans to hang out Friday or Saturday night. Honestly, sometimes sharing a few drinks with your best friends is the best way to unwind after a busy day. Agree that you’ll all cut out of off work a little early for Galentine’s Day, and take advantage of your favourite Happy Hour. Just be sure to have a DD or plan to hire an Uber together. Though, if you inform your partner ahead of time, and if he is REALLY looking to be your Valentine’s, he may even offer to pick you up. If you’re not a night owl, then an early morning get-together would be a perfect start to your Galentine’s Day. Take a little extra time in the morning to meet for a leisurely brunch where you can chat exchange gifts. While you’re with the girls, use this opportunity to share your excitement for our new Refer a Friend program. Here’s how it works: share your unique referral link (available to you in your VIP suite) to invite your friends to join MONAT, you’ll receive a $25 referral credit for each new VIP who signs up! Best of all, the new VIP will also enjoy a $25 credit that can be applied to their next qualifying Flexship! We hope this blog post inspires you to make time for your girls. After all, it’s your day together – celebrate it in a way that celebrates what you mean to each other! Enjoy reading this blog post? Follow us on Instagram or like us on Facebook! First things first – realize that you do not need to spend a large amount of money to give your partner the perfect Valentine’s Day experience. Your partner will always love and cherish a moment that you put real thought and care into, over a fancy dinner and expensive gift done just to fulfill an expectation. So, if you really want to have a day to remember without breaking the bank – consider any of these five options. Volunteer to make your partner’s favourite dinner. Or, even better, work together to make a memorable meal. Make a playlist of your favourite songs, both for the dinner and for the time you’re relaxing together after. Gifts are an essential part of a celebration, they help to mark the occasion and can serve as a special surprise for your loved one. That doesn’t mean you need to go “all out” on the one perfect gift – a selection of thoughtful items will have the same impact. Take those treats and arrange them in a Valentine’s Day themed mug or red and white dish. The extra effort helps to show your appreciation. If you really would like to craft something unique for your partner, consider taking inspiration from any of these DIY gifts. We especially like the #10 book safe, the #24 map themed coasters and the #75 flavoured salts. If you and your partner enjoy alcoholic drinks, take a tour of a brewery or distillery. Local crafting is huge right now, and chances are you have a nearby location where you can enjoy a tasting menus for a wide variety of flavours. Or, if you prefer the lure of the great outdoors, you could enjoy a hike or a snowshoeing adventure – depending on your local climate, of course. No matter what you decide to do for your partner on Valentine’s Day, just remember that the thought, care and presentation you put into it will give you both more than any amount you can spend. How many times have you heard that you should drink 8 glasses of water a day? It’s common knowledge but do we really know why we need to drink that much water? Listen up! But did you also know all the wonderful things water can do for your looks? Enough H2O does more than keep you hydrated. It helps your body flush out toxins more efficiently. The result? Fresher and more radiant-looking skin! Water helps your skin keep its natural elasticity and suppleness. What do the experts say? According to Howard Murad, author of The Water Secret: The Cellular Breakthrough to Look and Feel 10 Years Younger, not drinking water makes your skin look more dry and wrinkled, which can be improved with proper hydration. Now it’s easier to become more motivated to try and drink 62 ounces of water a day, right? For those of you who don’t have the patience to track your water intake (or who don’t enjoy guzzling water around the clock), you literally can “eat” your water to supplement your intake. That’s because many fruits and vegetables are almost 100 percent water! Below are some fruits and vegetables that taste wonderful and hydrate you. Incorporate these into your daily diet and you will meet your water quota, helping your body work better and making yourself look better!